BOXes and "Monthly Snack Box"
With our BOXes you can get your favourite items in different flavours for a special price and have not to worry about shipping cost or what kind of flavour you should choose. The shipping cost is already included in the price and the flavours will be chosen by our staff depending on the available flavours at the time of purchase. The BOXes will be shipped short after your purchase. 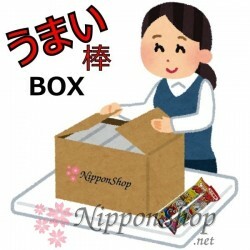 With our Monthly Snack Packages, on the other hand, you have the chance to easily discover the great variety of Japanese sweets and snacks as we pack them once a month full with different sweets and snacks that are available at the time of shipping. You can order one box after the other as often you like without any worries about shipping cost or subscriptions you might forget. 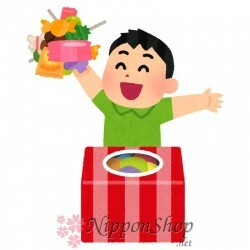 The Monthly Snack Package can be ordered at any time, but will only be shipped short after the countdown timer shown in the item has finished. For our BOXes and Monthly Snack Packages we do not charge any shipping or handling cost as they are already included in the price. 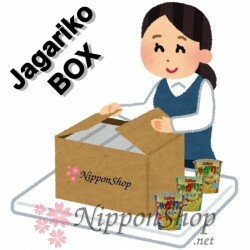 Furthermore we send all boxes by registered Mail using the Japanese Post Service so that parcels are trackable. BOX packages There are 5 products. The variety of Japanese gummy and candy is just amazing. Hard candies, soft candies, tablet, fruity gummy and chewing gum in almost every flavour.Japan has a lot of stuff and flavours to explore. 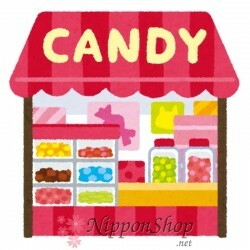 Try it with our "Gummy & Candy Box". Japan has an enormous variety of sweets, snacks, gummy and candy and much more which is amazing and sometimes also unique. There are a lot more things to discover and try than just the well-known stuff such as KitKat or Pocky. 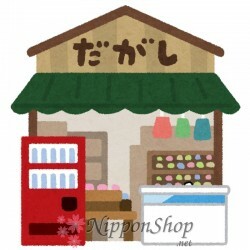 Explore the huge, amazing and sometimes unique variety of Japanese sweets, snacks and candy with our "Japanese Snack Box"